As a new trader you are often faced with a plethora of choices when venturing out into the retail trading world. Whether you are looking for a broker with cheap commissions, a solid trading platform, powerful mobile app or a broker with top notch trading education, you have got to do your research. 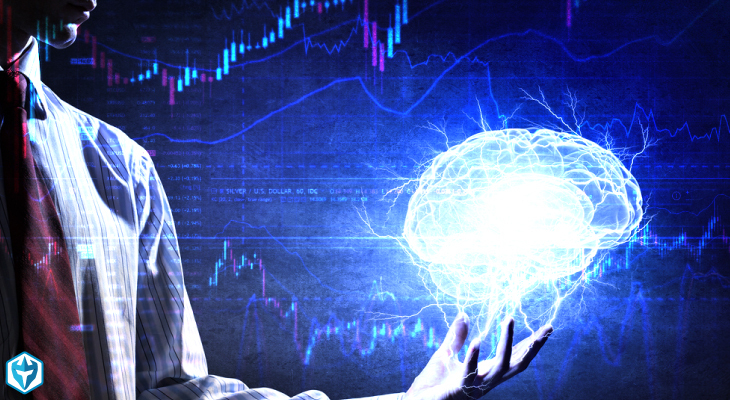 Whatever you decide, without a good online trading broker, you are truly powerless to act upon anything in the markets. 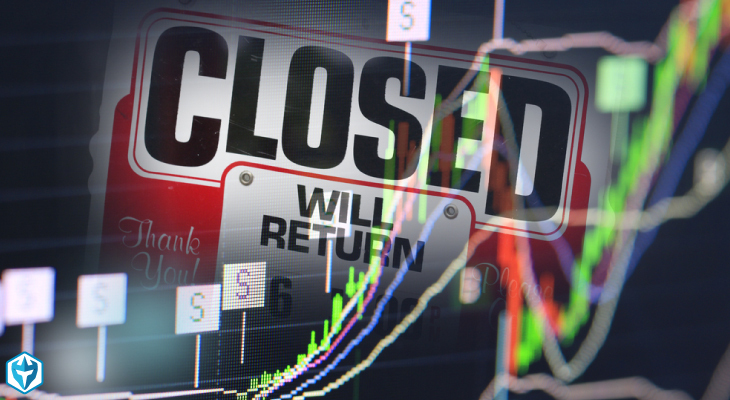 Long gone are the days of bucket shops and panicked phone calls to your broker. The most important option to most novice investors will likely be costs. As mentioned earlier, the overhead costs involved with trading prove to be insurmountable for many new traders with smaller capital. Costs from online trading brokers can come from commissions, ECN fees, data fees, margin fees and even fees for phone order executions. Believe it or not, these fees can and will affect your profit and loss. I also place high value on speed of execution and software stability. For what it’s worth, I will sacrifice bells and whistles ANY day just to have the ability to place a trade, get a FAST execution at MY price, and not have the software crash on me mid order. Believe it or not, that does happen and it has happened to me. Amenities are nice. We like them in our hotel rooms, we like them when we are spending a lot of our money on cars and any time we feel that we should get a little bit extra value for the amount of money we are entrusting. Online trading brokers are no different. In a world where everyone is selling themselves as the best online broker service, what really matters is what is useful to you. Do you trade futures, forex, options, commodities, stocks, OTC and international markets? Are all of those options important to you in a broker? If not, then your search just got easier. Focus on the kind of trading you do and want to do. Don’t worry about excess. You can always open up accounts later on with more suitable online trading brokers. Customer service. This might seem like an obvious one, but let me tell you that some brokers are completely anti customer. I won’t name them here, but you will find that in this world, nobody cares about YOUR money more than YOU. Make it a priority to research and contact customer service departments at various brokers. See who responds to your inquiries and how long it takes them. Think about it this way, brokers know that most traders will blow up their accounts and be gone in a short time. Their purpose is to get their claws into as much of equity as possible, and if they ignore your issues long enough, you are statistically likely to be gone soon anyways. Find the brokers who make the effort to care about your concerns. Finally, for new traders, I would focus my consideration for the best online trading broker to a place that provides incentives. Not all online trading brokers offer incentives, but many do, especially for new traders. Whether you get free trading for a month or 100 free trades or no interest margin rates for a specified period of time, it all adds up to savings for a new trader. If you are jumping in to retail stock trading, then minimizing initial overhead costs via commissions or whatever you can will pay off in the end. Incentives can even come in the form of a free paper trading accounts offered with your intended broker. Don’t pass up the opportunity to test drive! 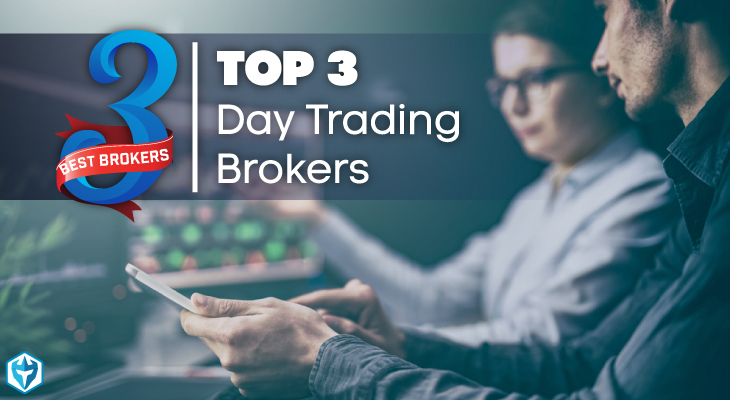 Based on the above criteria we rank the following brokers as the Top 3 best online trading brokers for day traders. Keep in mind, if you are looking for a broker for investing or swing trading, this line up may not match your needs. We rate EACH of these brokers equally. 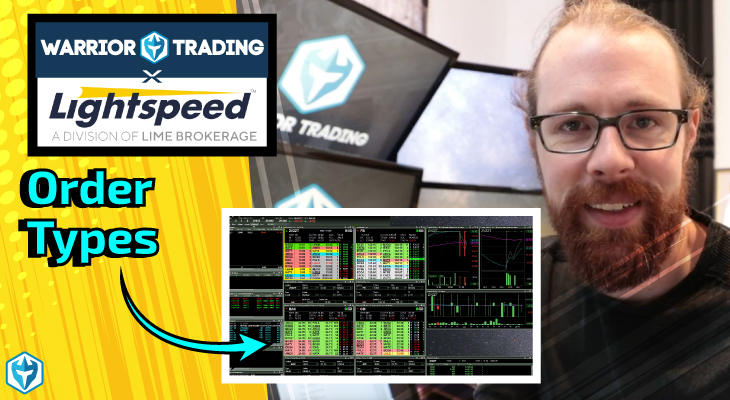 Lightspeed comes in as our second best online trading broker. They allow direct access routing, dark pool routing, and competitive commissions. 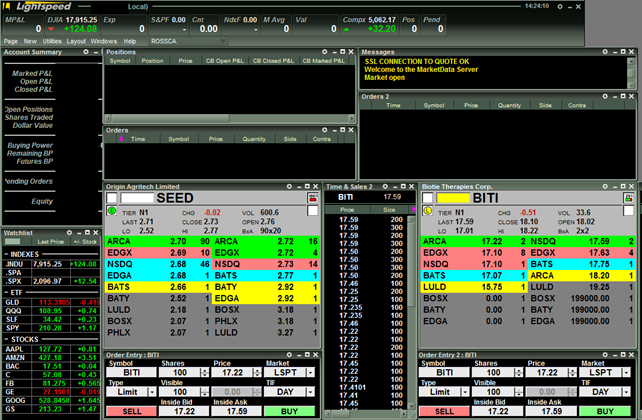 The Lightspeed pro platform is excellent and allows for advanced use of hotkeys which are critical for day traders. 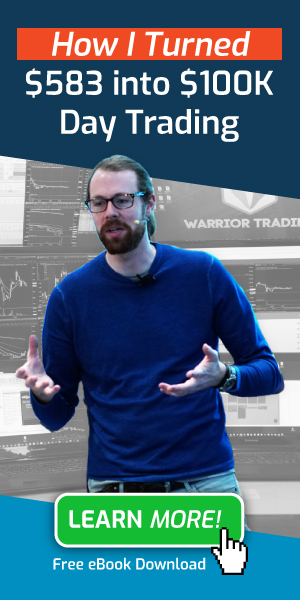 The commissions at Lightspeed are slightly more expensive than Speedtrader but is worth it in my opinion and if you are Warrior Trading student you can get a discount! Lightspeed is working with Warrior Trading to offer students custom routing with ZERO ECN fees. They are also participating in our Broker Rebate program to give students the lowest possible commissions. 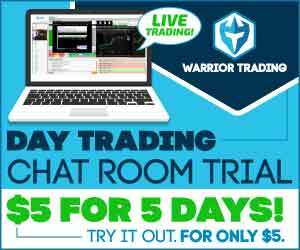 If you are a Warrior Trading member or student you can take advantage of their discounted commission rate by opening an account here. TradeZero is our top broker for international students who are below the PDT level but still want to day trade. The TradeZero platform is stable on both mobile and desktop, offers hotkeys, and features direct access routing. Additionally the commissions are 70% lower than all other competing brokers that allow trading under the PDT level. Click here to read our complete review on TradeZero. **Please note that TradeZero does not allow US citizens to open accounts with them because of regulatory issues. Some of our favorite features Interactive Brokers features is direct market access, access to international markets, a robust and sophisticated trading platform, excellent tools and education section, and competitive commission schedule. They also offer lower commissions, no ticket charges, no minimums, no technology, software, platform, or reporting fees, and low financing rates. This is another broker that is best for traders that have a $25k account or are looking to trade options. In the end, it doesn’t matter what you decide, so long as you are comfortable with your decision and you feel like your hard earned money is safe. The best online trading broker might different for you than it is for me, but so long as both our needs are met, it’s a win/win. And competition is healthy for the marketplace, so, don’t be afraid to try out multiple brokers before committing to any one. 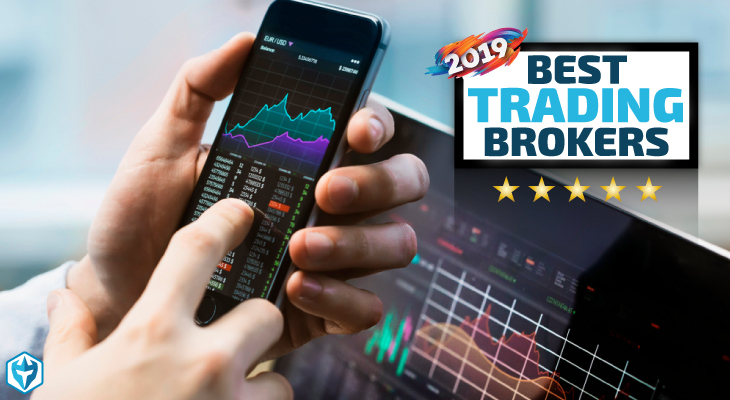 It’s worth noting that brokers such as ETrade, TDAmeritrade, and Scottrade are extremely popular among investors and swing traders but are typically not as popular among day traders due to slower execution speeds and more expensive commissions.